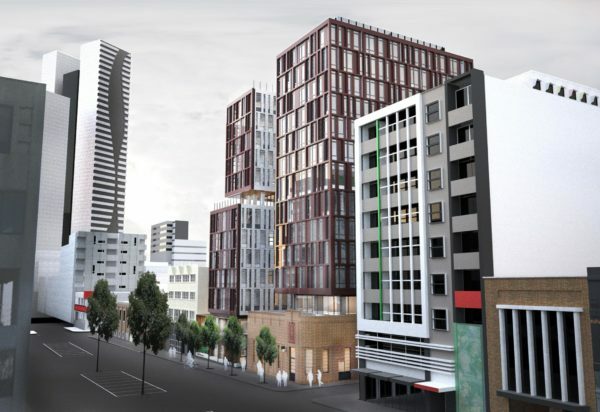 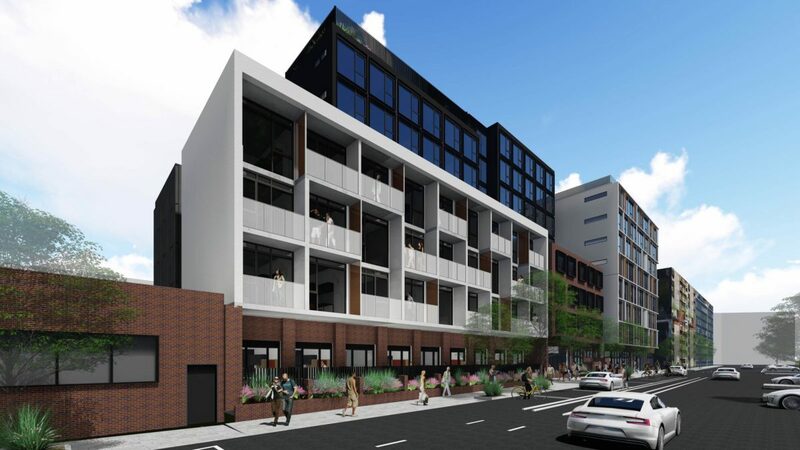 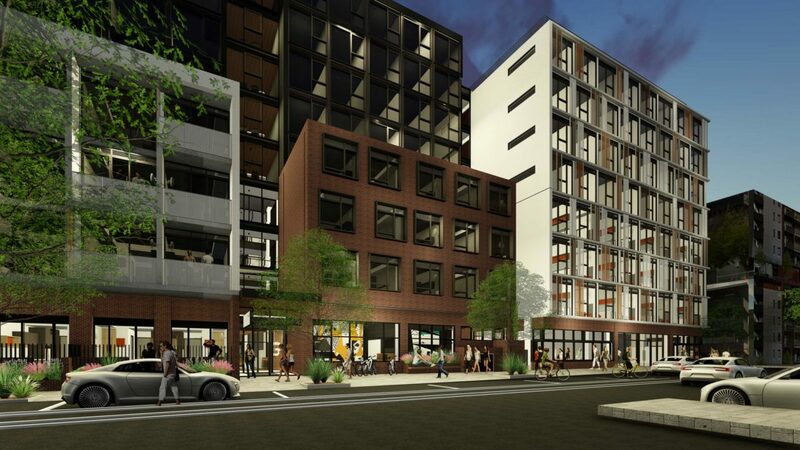 The development at Wreckyn St, North Melbourne is a purpose-built student accommodation facility operated by UniLodge for students studying at various universities around Melbourne. 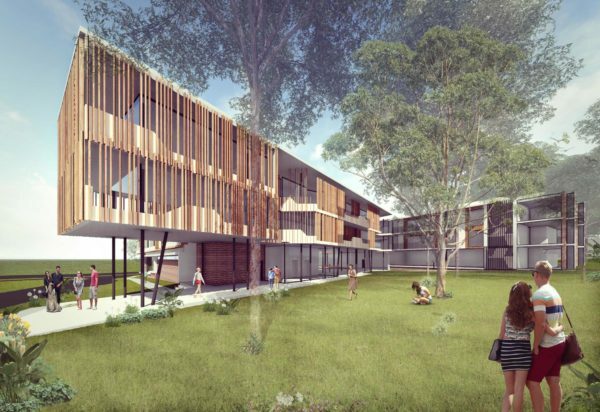 The development aims to provide affordable accommodation to students without sacrificing a social lifestyle and facilities interaction and communication through multiple communal areas and study zones. 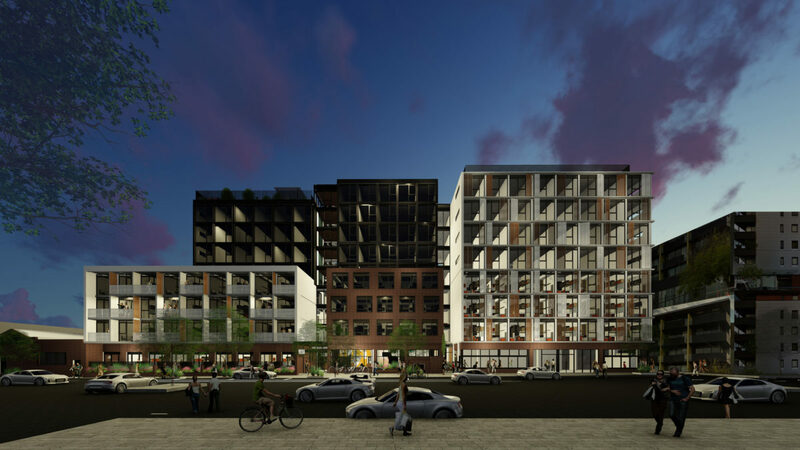 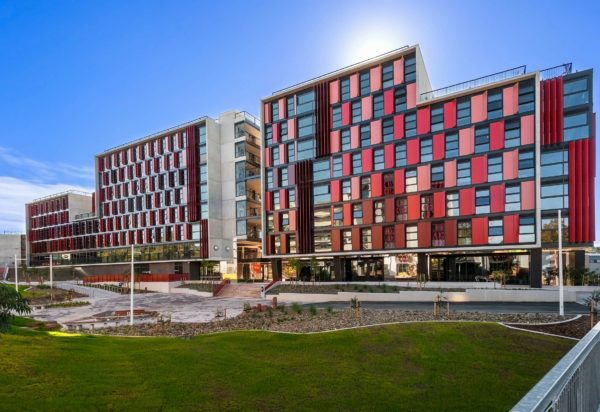 The development offers a variety of accommodation options predominately for self-catered apartment style living with ensuite and kitchenettes to individual rooms. 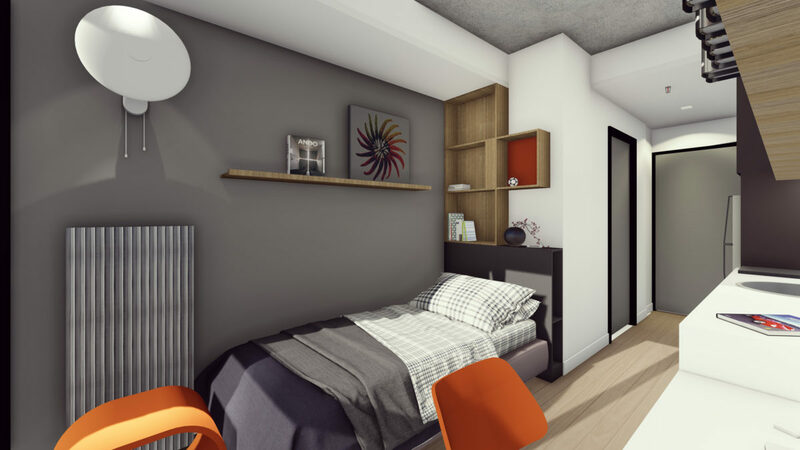 Multishare cluster apartments offer an alternative communal-style living arrangement with shared amenities to enhance spontaneous socialisation for students. 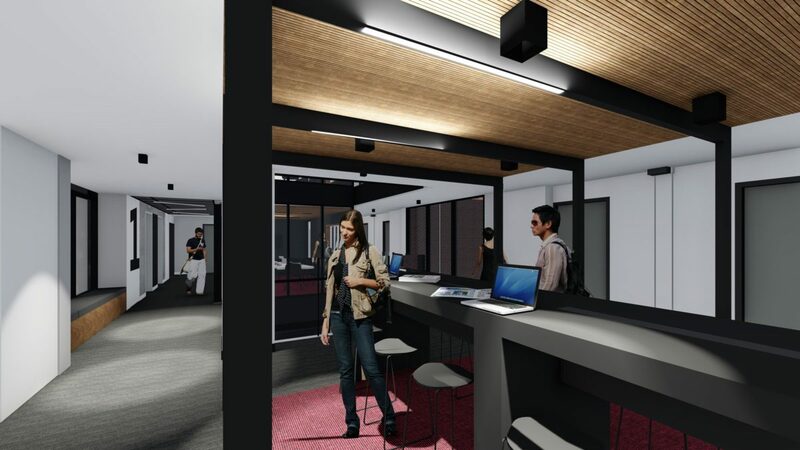 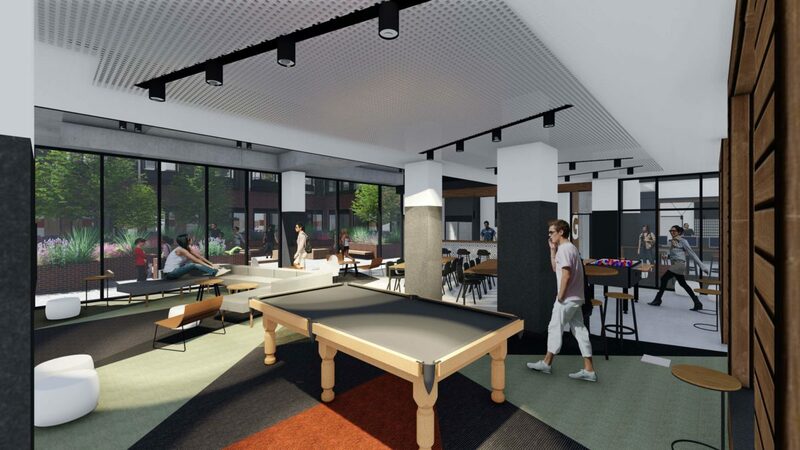 A large common games room which opens up to a central landscaped courtyard on ground floor encourages student interaction and the study rooms and lounges throughout each level offer quiet relaxation zones. 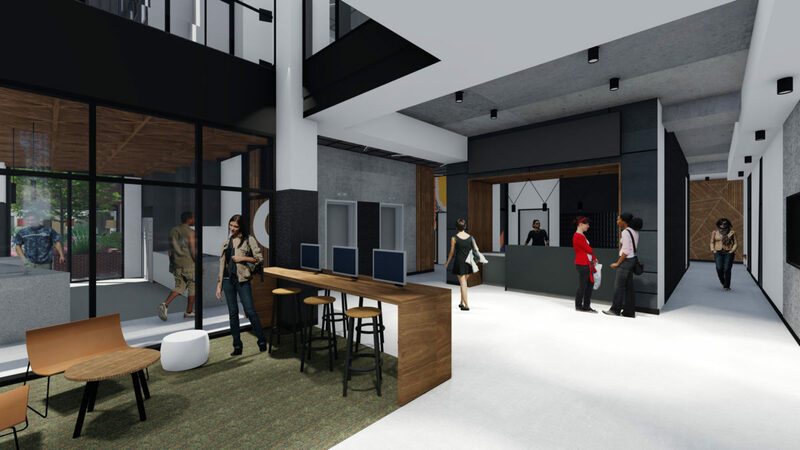 The music room, gym and retail fronting Wreckyn St provide activation to the street interface. 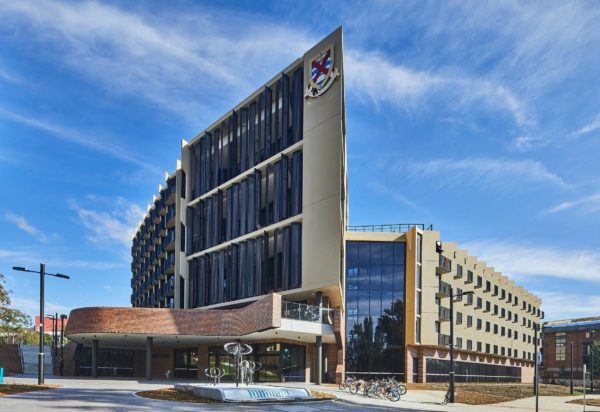 The building is grounded by a red brick base and is distinctly separated into four building ‘wings’ on the upper levels which each offer unique architectural characteristics referencing back to the surrounding context. 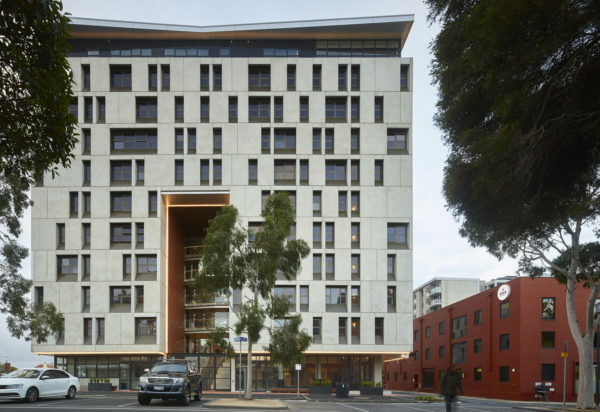 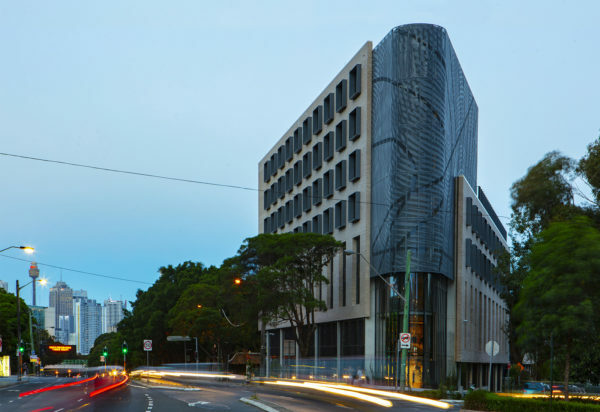 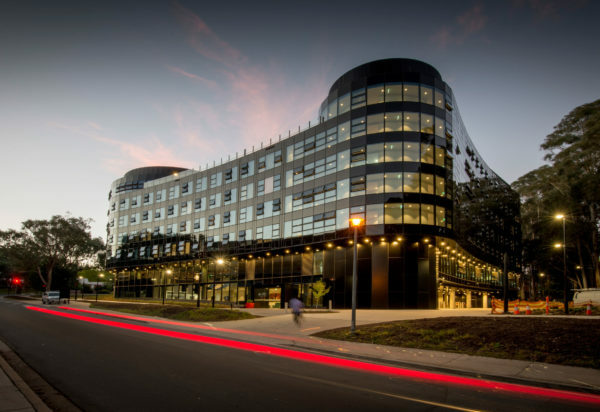 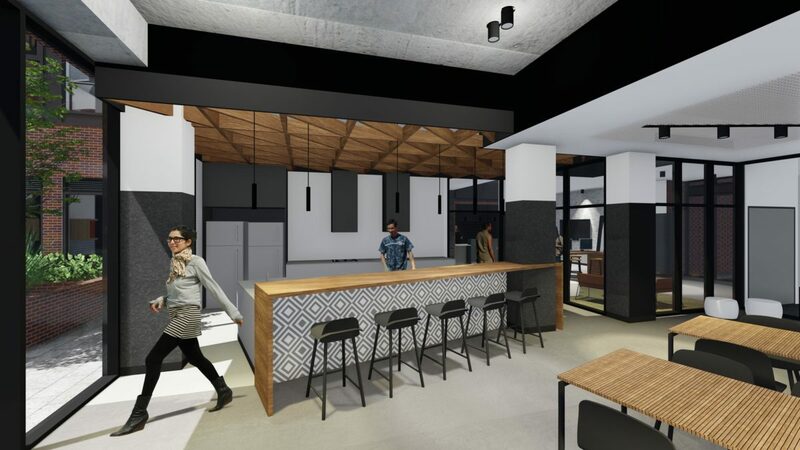 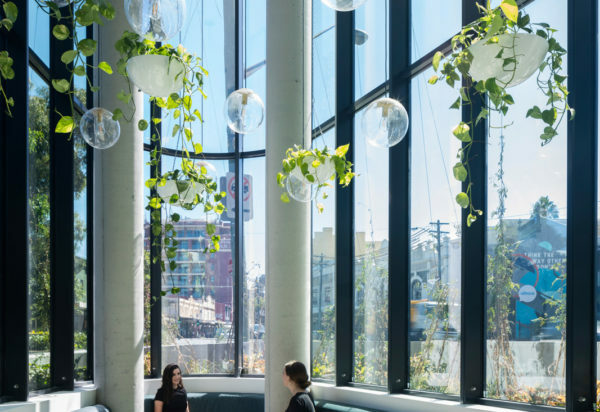 This student accommodation building offers a vibrant living environment for students with quality communal areas and a sophisticated architectural design outcome to complement the Melbourne university precinct.